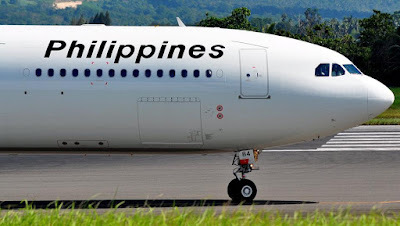 Aviation Updates Philippines - National flag carrier, Philippine Airlines is adding flights to Kuwait and Jeddah that complements with its existing Dubai route starting January 2016. The Kuwait route will be operating 4 flights per week while the Jeddah route will be operating 3 flights per week with a total of 7 flights per week for the Dubai route. All flights will be operated by Philippine Airlines' Airbus A330-300 aircraft. For Kuwait flights, PAL flight PR658 departs Manila at 10:00 PM and arrives Dubai at 3:30 AM the following day. It will then depart Dubai at 5:45 AM and arrive at Kuwait at 6:55 AM. The return flight, PR659, departs Kuwait at 3:10 PM and arrives Dubai at 6:10 PM. The flight will depart from Dubai at 7:40 PM and arrive Manila at 8:15 AM the following day. Philippine Airlines Flight 658 (for Kuwait) operates every Sunday, Tuesday, Thursday, and Saturday. Flight 659 (for Kuwait) operates every Sunday, Monday, Wednesday, Friday, and Saturday. For Jeddah flights, PAL flight PR658 (departing every Wednesday) departs Manila at 10:00 PM and arrives Dubai at 3:30 AM the following day. It will depart Dubai again at 5:45 AM and arrive Jeddah at 8:15 AM. PAL flight PR 658 (departing every Monday and Friday) departs Manila at 10:30 PM and arrives Dubai at 4:00 AM the following day. It will then depart Dubai at 6:15 AM and arrive Jeddah at 8:15 AM. The return flight of the Jeddah service, PR 659, departs Jeddah at 2:15 PM and arrives Dubai at 6:15 PM. It will depart Dubai at 7:45 PM and arrive Manila at 8:20 AM the following day. Flights will be operating every Tuesday, Thursday and Saturday by an Airbus A330-300. The airline has been using this kind of routing until April 1998. It also stopped serving Kuwait in 2000.